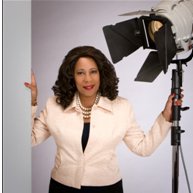 Anita Long is Producer / Founder of the Ink Spots Museum and Long Films Studio in Houston, TX. The museum is dedicated to the memory of her father, legendary guitar jazz musician Huey Long, the last surviving member of the original Ink Spots. The museum is a jewel and hosts much of Long’s personal memorabilia. Long lived to be a 105 years young. The museum serves as a springboard for a community-based musical oral history project showcasing Houston’s rich contributions to music history. For her work, Anita has been awarded medals by the Smithsonian Institute, Permanent Research Collection housed at the National Museum of American History. She is also published in the Library of Congress. Examples of Anita’s work are in more than 30 museums and libraries around the country. Through Long Films Studio, she launched a campaign for the Texas Lyme Disease Association which included the organization’s first public service announcement and a short film focusing on the heartbreaking stories of undiagnosed lyme disease in Texas. A feature length documentary is in the works. Anita is also the Houston President of Women in Film & Television an international professional organization dedicated to empowering women in the industry. She currently has several other short films and documentaries in various stages of development and production. She is a producer and documentary filmmaker, consultant, publicist and digital media consultant working primarily with music in the entertainment industry and non-for profit sectors.